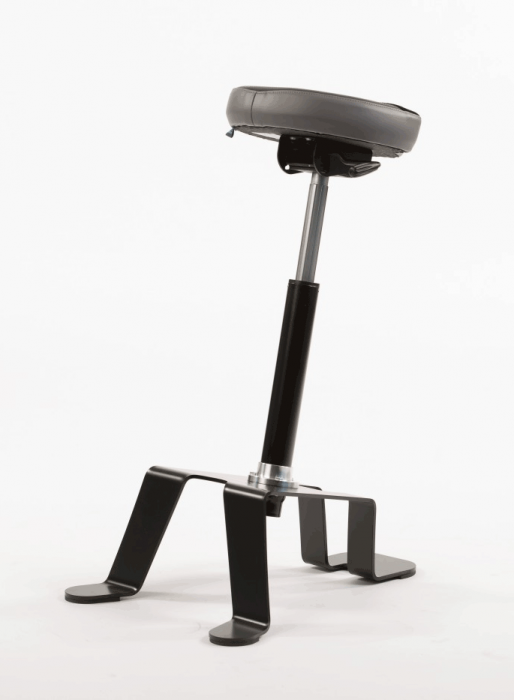 TA200 is an ergonomic sit/stand chair designed to improve worker comfort during tasks on elevated surfaces by reducing foot and leg fatigue during prolonged periods standing. 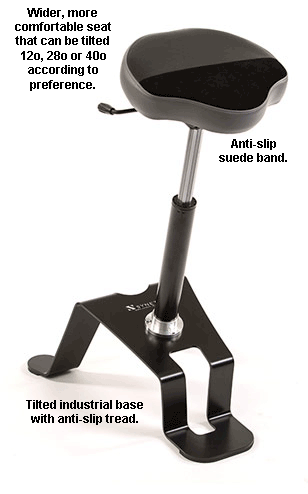 The wide seat and the non-slip suede band provide stability. 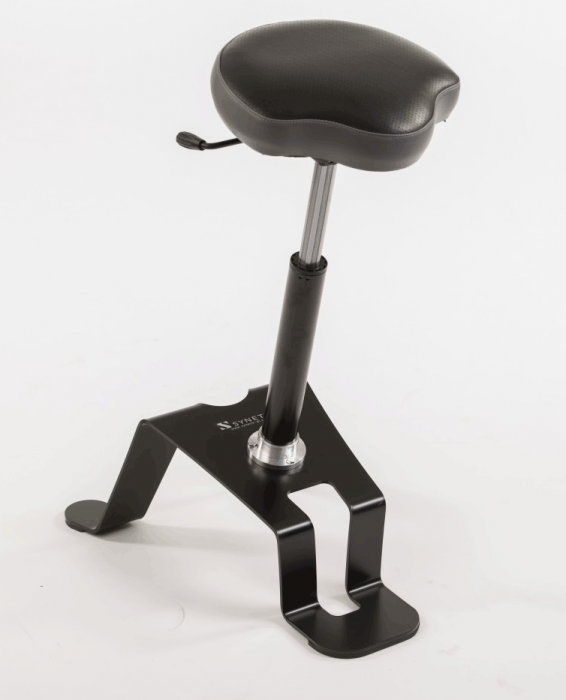 Seat height and angle adjustments ensure maximum comfort. 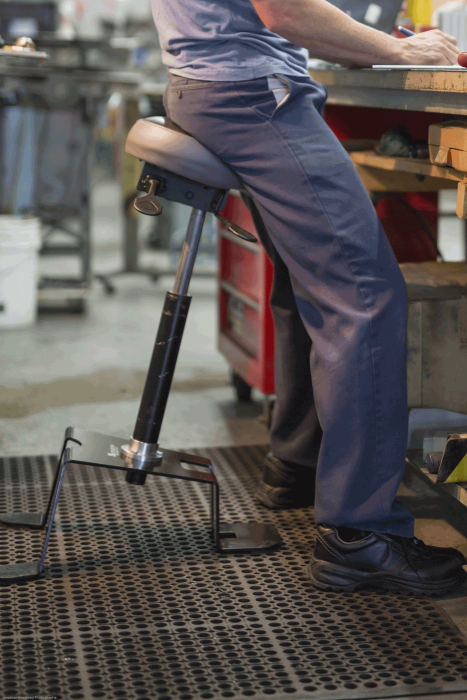 LIMITED LIFETIME GUARANTEE – ERGONOMIC PRODUCTS: Synetik design guarantees all their products against manufacturing defaults for a full ten (10) years following the date of purchase. 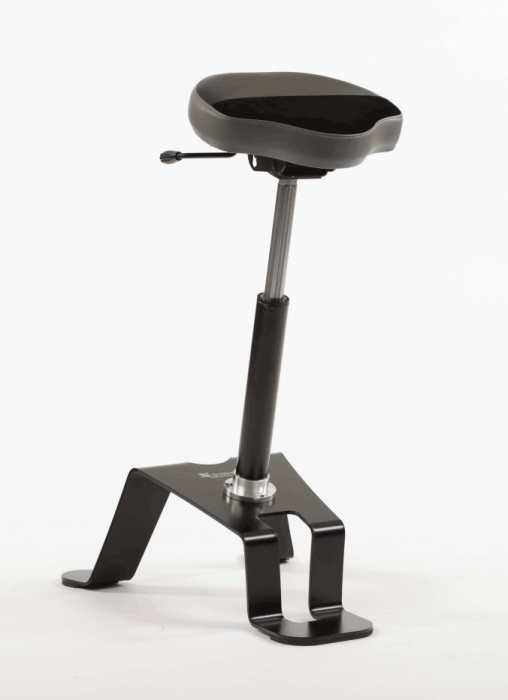 The frames of the stools, the pneumatic cylinder and all fixed features of the stool are guaranteed for life. 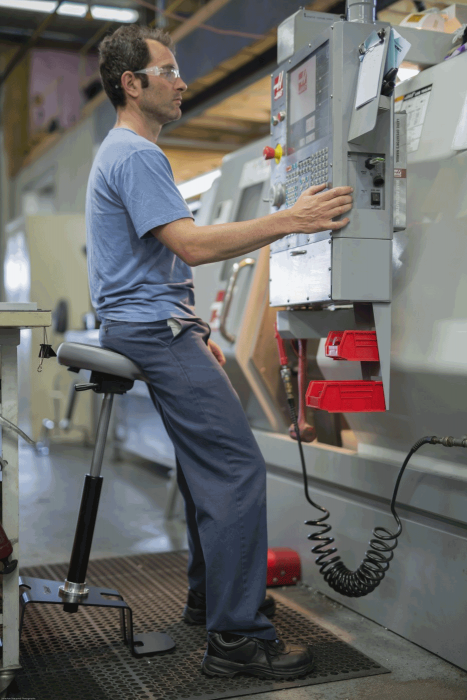 Any moving mechanical parts are covered for ten (10) years. This guarantee does not apply to products needing replacement due to normal wear and tear, due to negligence, obvious abuse, or any damage caused in transport or any use of the product not in conformity with the included instructions and hazard warnings. Synetik design offers no other guarantee against wear other than the applications indicated within this document. Synetik design will not be held responsible at any time for any damages received, interests accrued, direct or indirect losses, incidental or consequential losses, repeated losses or damages. 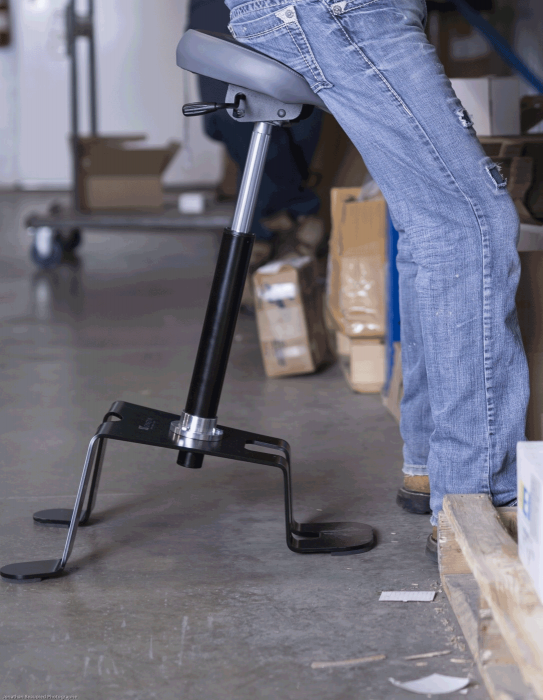 This guarantee applies only to regular use, meaning a standard eight (8) hour work day, and for use by an individual with a maximum weight of 350lbs.